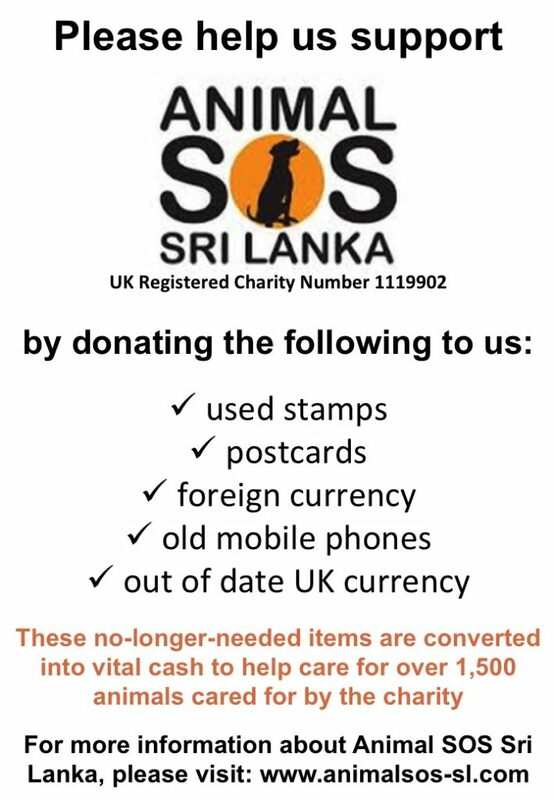 Please help us help Animal SOS Sri Lanka by donating the items listed on the picture to us. We will send these on to Animal SOS who can convert the items in to vital funds. Donations at our Shelter and Shop are welcome.